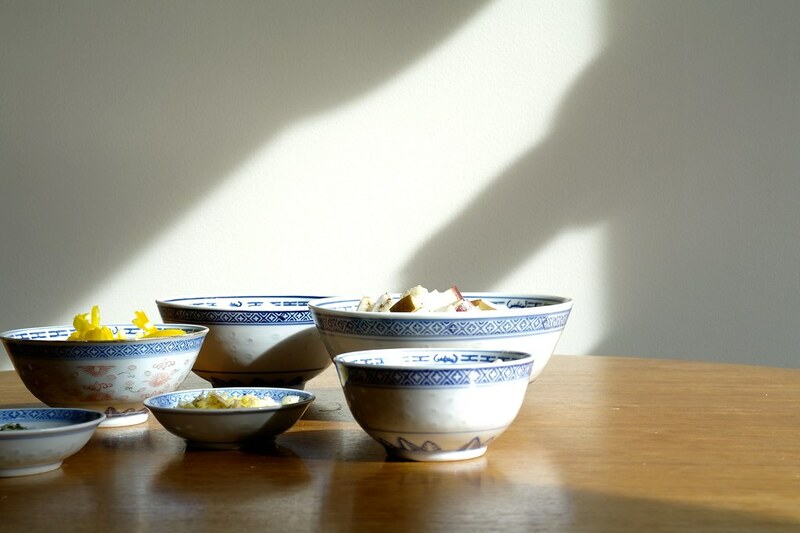 I haven’t been blogging too much for the past little while, but of course I had to make sure I posted in time for Lina‘s monthly March challenge of North Indian curries. I chose kadai paneer because I’ve wanted to try cooking with paneer for a while. Using a fresh cheese as the main component of a dish is something very new to me and I wasn’t sure what to expect. I really enjoyed it. The paneer has a very clean and fresh taste, and a firm texture that softens a bit once it is heated up. 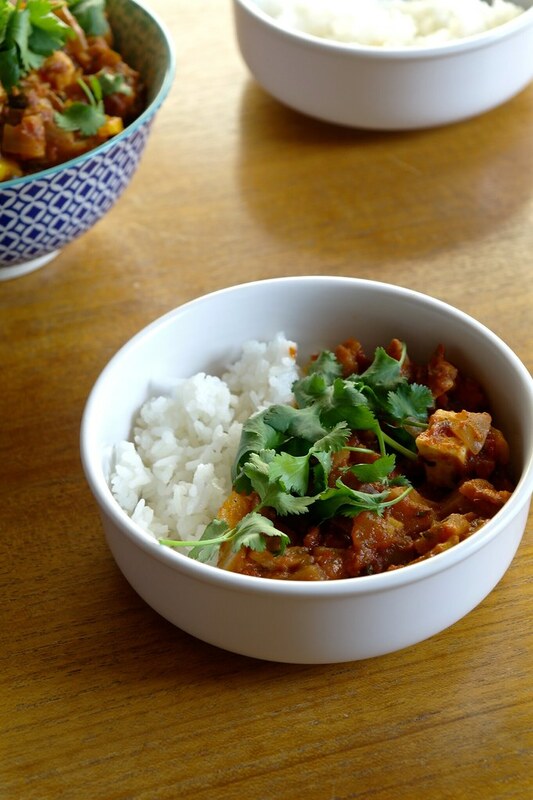 It’s like cooking with a very firm tofu–it’s not too strong tasting itself, but it provides texture, solidity, and a mellow taste. Since I was at it, I thought I might as well make the paneer. 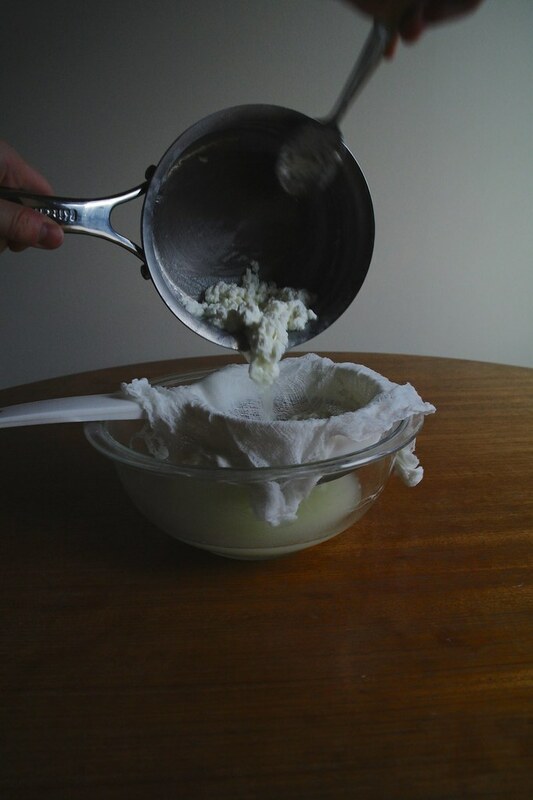 The last time I made cheese was accidental (I was trying to make a goat cheese custard and curdled everything instead). This was essentially the same as that time, though now more purposeful: heat the milk with some acidic until it curdles. That being said, I don’t believe I’ll be making paneer regularly–I did not get too much out of 1 L of milk (and in my head I was comparing it to 1 L of custard so it felt like such a waste!). Despite that, it was quite fun and I also got a loaf of soda bread out of it–adapted from this recipe shared by Jenny of Dragonfly Home Recipes–which I made with the whey (it felt like too much of a waste to pour it out). The soda bread is a recipe that I’ve had my eye on for a little while, and ah, after all this sourdough, it’s so lovely and quick to make a bake a bread right away. The crumb is very dense and tender and just a bit sweet from the molasses. The kadai paneer is adapted from Veg Recipes of India‘s semi-dry kadai paneer and paneer, a very beautiful and comprehensive blog. 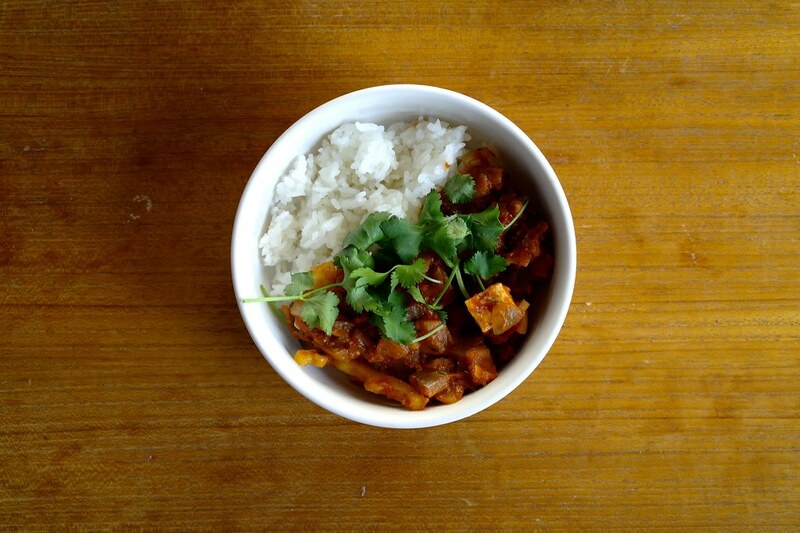 This is for Lina‘s monthly March challenge of North Indian curries. Parul and Sandhya have kindly offered to judge. I shall be visiting and commenting on some of the other beautiful and delicious submissions soon in a couple days, once this little busy streak subsides (for the moment, at least!). Well, I wonder if I can still call it kadai paneer if it wasn’t made in a kadai. I used a sort-of wok (it has a flat bottom for ease of use on the electric stovetop, though that also seems to miss the point). It also has more eggplant than it does paneer. 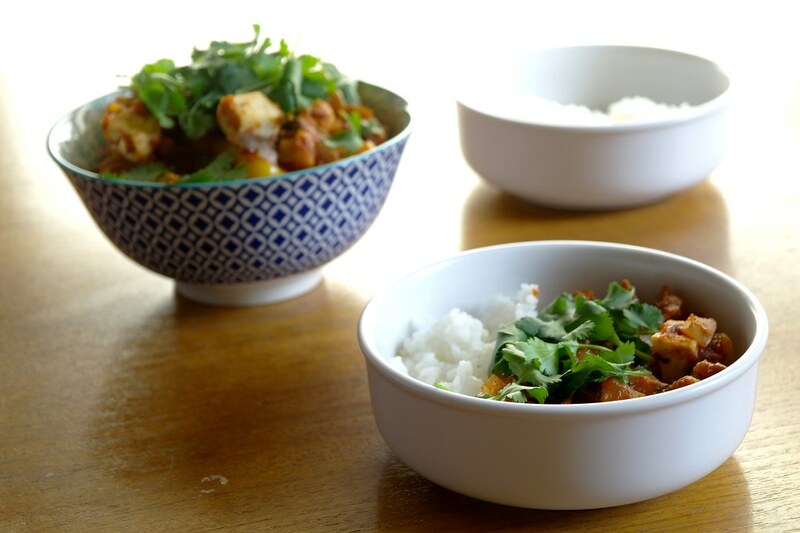 Adapted from Veg Recipes of India’s semi-dry kadai paneer and paneer. I ended up with 100 g of paneer out of 1 L of milk. Makes quite a generous amount. To make the paneer, put the milk into a saucepan and heat until it boils. 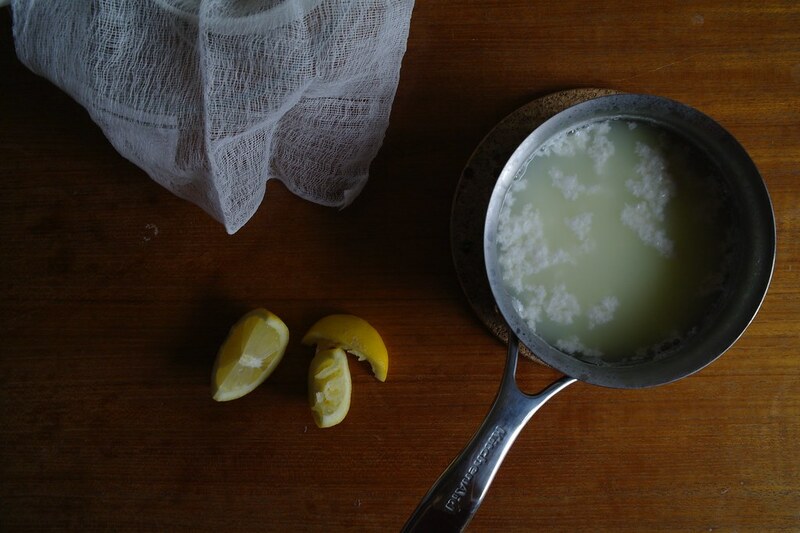 Squeeze in lemon juice while continuing to cook until the milk curdles. Remove from the heat, pour into a strainer lined with cheese cloth and let drain. Squeeze out the excess liquid, keep the paneer wrapped tightly in the cheesecloth, and set a weight over the paneer until cooled. For the kadai paneer: Toast and finely grind the coriander seeds in a mortar and pestle. Heat some oil in a pan (of some sort–perhaps a kadai, a wok, or a frypan) and cook the garlic and ginger for a few moments before adding the onions. Cook until translucent. Briefly fry the red chile paste (add more oil if needed), then add the eggplant and cook until everything is evenly coated. Pour the tomatoes overtop and continue to cook (add water to keep things from drying out), stirring regularly, until the eggplant is softened. Add the sliced capsicum and cook until it is just tender, then the garam masala, fenugreek and paneer. Cook for a few minutes to warm up the paneer. 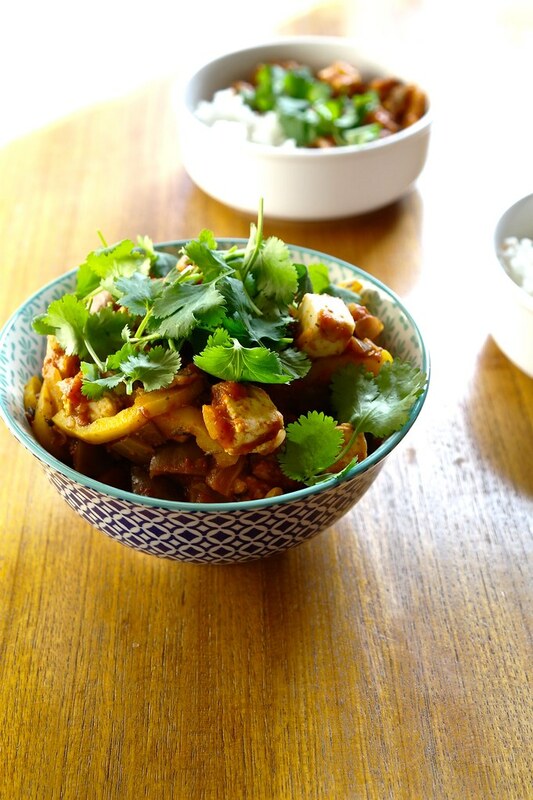 Transfer to a serving bowl and top with generous amounts of chopped cilantro leaves. Superb effort darling 🙂 and that dish looks to die for! So proud of you 🙂 Kadhai or not it qualifies my tastes buds for sure. Oh gosh, thank you sharing your knowledge about paneer CH! I see, that would make sense. I used 1% milk (thank goodness it wasn’t skim!) but whole milk would surely be better. I wonder if I could add some heavy cream to the milk (since I don’t usually have whole milk on hand) to increase the yield. What a good use for whey–I can see it being used in all sorts of breads! I once used skimmed milk 😯 and that’s how I learnt about it 😀 I have never used heavy cream though, might work out. 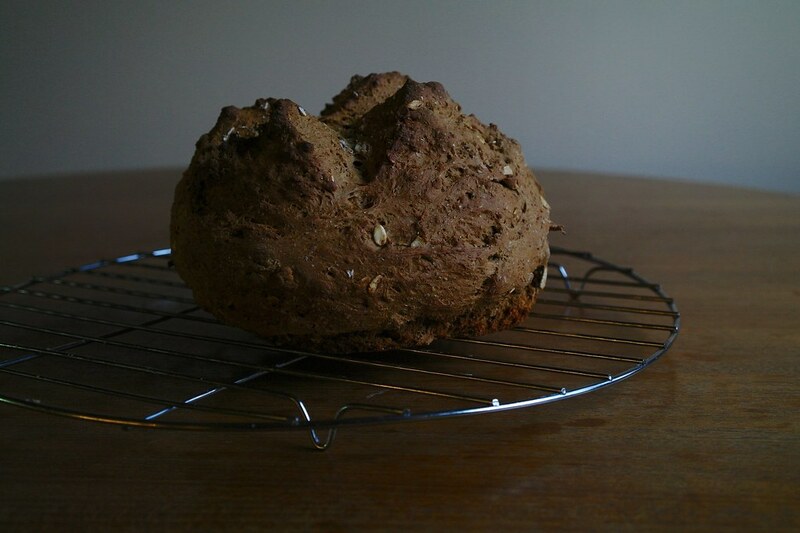 I’m glad you tried the soda bread recipe and enjoyed it! Thanks for the kind words. 🙂 Congratulations on making your own Paneer too–the whole dish looks delicious! Wow even home made paneer! Awesome!! Thank you for the comment! The paneer was quite easy, and for once it was fun to see something curdle (usually curdling marks a disaster for me!) though I was definitely a bit disappointed about the yield. CH did come to the rescue though, and pointed out that the fat content of the milk affects the yield–so next time I’ll try using a higher fat milk! I see, I always have half-fat in my house, I need to remember that! 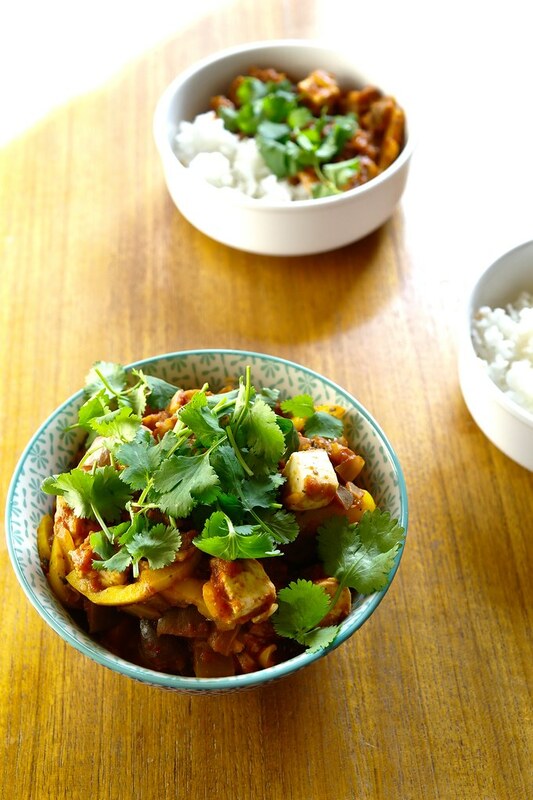 Good for you for making your own paneer to add to this delicious recipe. Don’t give up on making it – it took me a while to figure out how to make it without thinking that all it was not the best use of milk (which is expensive)! I used home-made yogurt, thickened before making with powdered milk. One L. of milk, about half a cup of powdered milk and half a cup of yogurt culture gave me almost a pound of paneer – so much I had to freeze some. And about 12 hours of sitting in a warm environment. I have been making paneer for over 30 years, and this was the first time I was really happy with it. 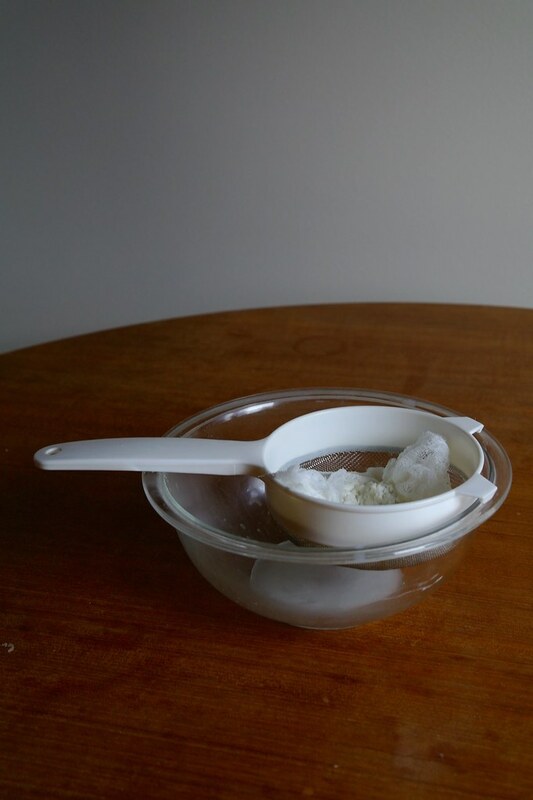 Wow, what a great solution Hilda–both powdered milk to increase protein content and culturing it to make yoghurt! 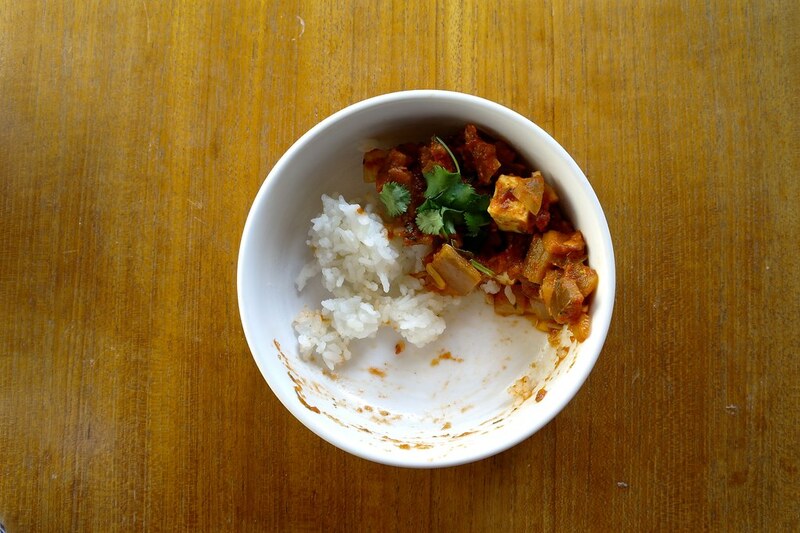 Right now I’m just imagining a pound of paneer–over four times what I got from 1 L of milk! I can’t wait to try this method, it really ensures that you get the most out of the milk. Thank you for sharing this Hilda! I am impressed that you made your own paneer. I will have to as well as it is simply not available here. Thank you Nadia! It was an interesting process. At the time I wasn’t too keen on making paneer again due to the low yield, but after Hilda shared her technique of milk powder and yoghurt, I’m excited to try again 🙂 Sometimes I suppose the upside of not being able to find something is that it forces you to learn how to make it yourself! On the co-hosting part – do you want to pick even numbers or odd ones? Let me know 😀.. Thank you Sonal! I’ve gotten some very good advice about increasing the yield of paneer and what to do with the leftover whey, so I’m excited to try again. I was under the impression that I already commented on this post! That’s the exact recipe I use for making paneer too! I am so glad you decided to make this from scratch! Eggplant is a really good addition..we have these tiny brinjals which we add in most curries in the South. We also add green capsicum in kadai paneer..you should try it next time…I absolutely loved reading your post! I am so happy you participated Laurie…you are the best…your pics have stolen my heart as always..and don’t worry about the less paneer..actually in my house we make paneer only for the whey water..we use it in chapatti doughs instead of water!